According to the football transfer rumours in British media, Everton are leading the race for Nordsjaelland striker Godsway Donyoh. The Ghana international joined Nordsjaelland from Manchester City on a free transfer in January 2016. His contract expires in the summer of 2021. Donyoh has scored 24 goals in 58 games for Nordsjaelland since joining the club. His performances have seen him become the target of many European clubs including Everton. The Ghana international provides a unique blend between a classic center-forward and the modern striker. The Everton manager is in the market for a new striker. The Ghana international is thought to perfectly fit the profile of striker Marco Silva wants to target in the winter transfer window. 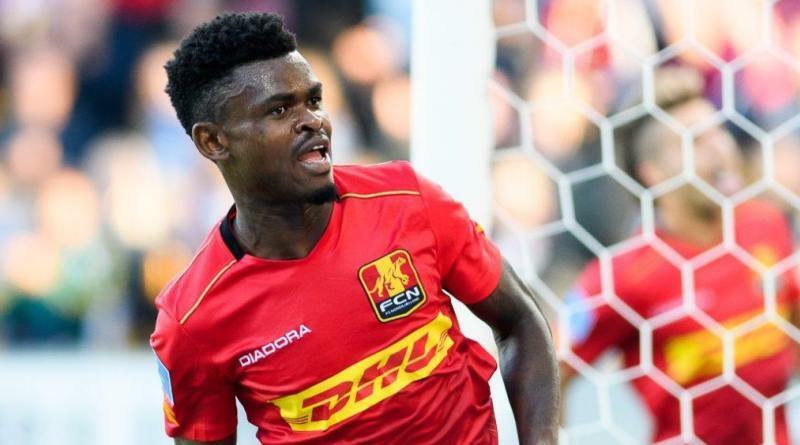 Nordsjaelland are preparing to sell their striker should they receive a massive offer for him. Everton would likely much prefer a more experienced striker who can provide an immediate impact on the pitch. Whether or not this is the end for Donyoh in Nordsjaelland remains to be seen. If the move goes through as reported, then it would be a fantastic deal for all parties involved. Undoubtedly he would be a good recruit for Everton. Everton fans would certainly love to see him arrive at the club this winter.